At CHAPTER2 we believe that cycling is one of the purest sports. Just you, your bike and a healthy appetite for adventure and suffering. HURU means "feather and rising" in Maori and that's exactly what its intended purpose is, lightness for those who love to climb, but designed with a healthy dose of agility to let you rise above the competition. Weight, or there lack of, has been the holy grail of bicycle design since the beginning, with the often misguided belief that less grams alone will make a frame perform better. Low weight is only one of the complex ingredients in the dark art of frame design. Without careful consideration for a balanced geometry and stiffness, even the lightest bike can turn a beautiful climb into an anticlimatic experience. We love to climb, because we also love to descend. The two polar opposites are not exclusive, since when there is a climb, there is always the prospect of a thrilling descent that makes the suffering all the more meaningful. The HURU has been design from the ground up, with a highly engineered silhouette resulting in a stiff and light-footed frame, a laterally stiff yet compliant fork and a lightweight two-bolt TUMU seatpost ensures the whole package tips the scales just where we want it- a synergy of form and function. The geometry is borrowed from the speedy RERE with minor tweaks to ensure it has the climbing pedigree of a pro-level frame. Whilst the additional 0.5° of seat tube angle may seem marginal, the 73.5° angle matched to the 0mm setback post places you in a more efficient and comfortable position to tackle even the steepest cols. 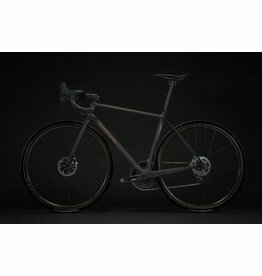 Whilst svelteness was the key objective for the HURU, the PU molding process, strategic use of T1000 Toray® carbon and directional 3K carbon in the head tube and bottom bracket ensures that the HURU is no slouch in the sprinting and carving department, cornering confidently like it's on rails.